In the guise of a routine maintenance Tata Motors has shut down its Sanand plant in Gujarat, which is mainly used to manufacture the nano. Due to the low demand that Tata Nano has, the inventory has piled up which has led to Tata taking this step. This however is not a big surprise as for past several months the plant as it is was operational 2-3 days a week at most. The company was producing 2000-2400 cars a month for the past six-months, but a zero schedule for June might have taken a naive few by surprise. Though the other side of the story is that this step was taken to refurbish and retool the existing infrastructure that is present so that the factory is geared to take on the manufacturing demands of the upcoming “Tata Kite” , which is expected to share floor space with the Nano. “As with all our plants, the Sanand facility is closed as per annual planning for routine upgrades, maintenance and adding of tooling flexibility for new variants. The period for this kind of maintenance work may vary and range from 3-6 weeks,” the Tata Motors spokesperson said. Experts say a shut down for as much as 35-40 days shows lack of demand as in modern automobile plants maintenance should not take that long or even retooling for a new car. 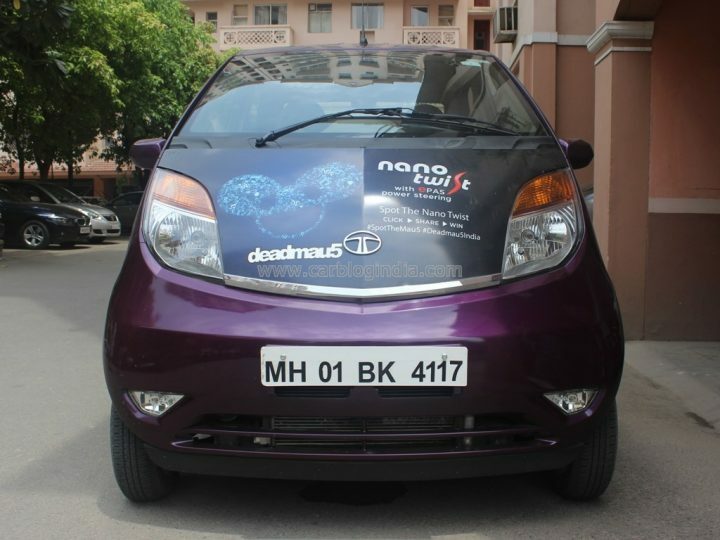 Nano, the car conceived for the common man got a little too ordinary for the common man’s taste. Made as an ultra low cost car, the demand for the Nano has failed to meet Tata’s expectations. Production in the last fiscal was the lowest at 21,538 units. However, the Sanand factory is capable of producing more than 2,50,000 units. The company has also piled up a lot of inventory. Around 8000 to 10,000 units are in the stockyard with some cars made in 2013 not having managed to find homes yet. The company for its part says that they have seen a good rise in sales after the launch of the new Nano Twist. The CNG version of the Nano and the Nano with power steering did add some interest. But Tata is not ready to give up on its pet project as yet. “Through different variants which include a Nano with an automatic transmission, touted as India’s cheapest automatic car, the company aims to bring Nano up to respectable volumes of 5,000 units a month. In addition to this, Tata Motors in a bid to rustle volumes may make the new X0 or Kite. This way, the utilisation of the plant will go up and the loss the Sanand plant is incurring can also be reduced,” said another person close to Tata Motors.